For the fourth year running, our annual conference in collaboration with Digitl is back! 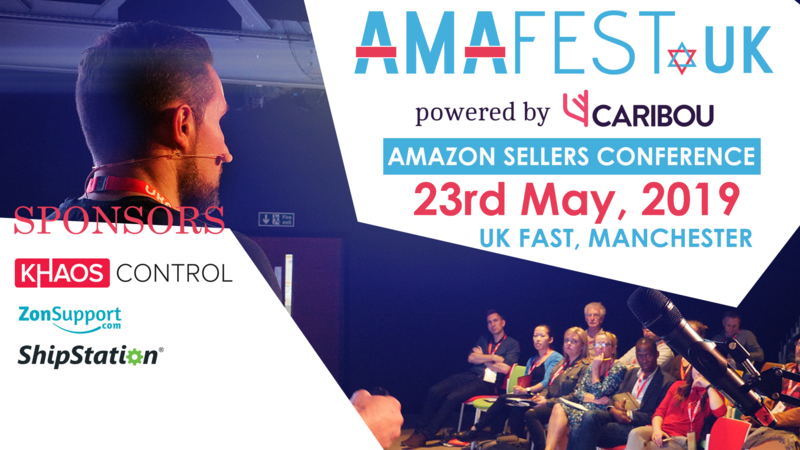 We have named it AmafestUK and it’s going to be on 23rd May at UKFast. The day is planned to have 10 Amazon expert talks. Amazon currently controls around one half of the online retail market and have over 1.7 million sellers with products listed for sale on their marketplace, so we have gathered together a variety of experts who are ready to share their tips, experience and know-how with you! We have decided to hone in and focus solely on Amazon at the conference this year, as opposed to last year where we discussed online selling in general. We have also introduced more panel discussions as our audience found these most helpful and engaging. There will be 2-panel discussions: one on Amazon private labels and one on Amazon vendor central. Attendees can expect to receive information that they can implement themselves on their own Amazon stores, and with many success stories being discussed people can be inspired and motivated to create their own success story. Absolutely everyone is welcome to come and attend our conference, from start-up sellers, to more experienced businesses; everyone is invited to join us. We believe that there is information to be gathered no matter who you are as there is such a fountain of knowledge and experience available in one place! If you are interested in learning all aspects of the world of Amazon, the burning question would be “how can I get my hands on a ticket? !” The good news is registration is simple with free limited tickets, so head over to https://amafestuk.com now to secure your ticket.